Thank you for your interest in LanAgent! LanAgent is a shareware program. You can test and evaluate this software for 15 days after the installation. You can monitor not more than three computers with the unregistered version. After registration, you will get the full-featured program without any limitations. You can find the LanAgent update policy here. Immediate delivery of the registration key! To provide you with high quality purchasing experience in a secure environment, we cooperate with the leading international software registration service PayPro. Your can order our product over the Internet using any major credit card. The ordering page is on a secure server ensuring that your confidential information remains confidential. 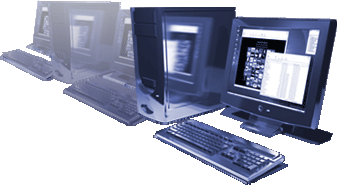 The price of the program depends on the number of computers you are going to monitor. Note that if you want to monitor 30 computers, you should purchase the program for 30 computers. The upgrading of license to the higher number of computers is available. The price for each computer will be calculated by the total number of your monitored computers. For example, you have a license for 30 computers; if you wish to extend your license to 60 machines, the cost of each one will be $32, but not $34. All LanAgent updates within versions 6.X are free of charge, up to version 7.0! Buy LanAgent now and get all features in future 6.X versions FOR FREE! We render free technical support by means of e-mail. We offer 40% discount for educational organizations. Please send the scanned proof to us and we will send you a special quote. This e-mail is protected from spam-bots. Turn on Java-Script to see an e-mail.